Artists’ BookMarket is The Fruitmarket Gallery in Edinburgh’s celebration of artists’ book culture. This year we are partnering with our neighbour Stills Centre for Photography, in an expansion of our annual event. 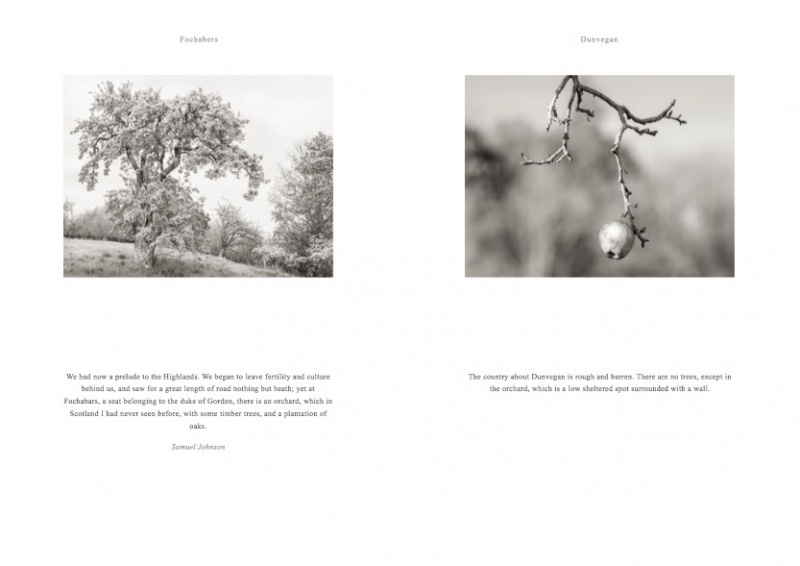 This is a page spread from one of the books I'm currently working on; titled 'Orchards - acts of creation'. Using texts from Boswell and Johnson it focusses on perceptions of culture in the 18th century. Complimented with a few of my Carse of Gowrie Orchards project images.